Medicare Providers and RAC Attorneys - Oberheiden, P.C. The Medicare Modernization Act of 2003 required the implementation of the Recovery Audit Program within the realm of Medicare Fee For Service. This initial requirement was for demonstration purposes only and was used to determine if Recovery Audit Contractors (RACs) could be effectively used to identify improper payments for claims paid under Medicare Part A and B. Under this post-payment review model, Recovery Auditors were paid on a contingency basis to identify overpayments on claims within a higher risk category. This initial demonstration proved to be a successful tool in the identification of improper Medicare payments and was expanded to a more permanent nationwide initiative in 2010. There are currently four RAC regions in the U.S. (Regions A, B, C, and D) and four corresponding RACs, one for each region. The four RACs are Performant Recovery (Region A), CGI Federal, Inc. (Region B), Cotiviti Health Care (Region C), and HealthDataInsights, Inc. (Region D). The Recovery Audit Contractor or RAC is tasked with detecting and correcting past improper payments so that CMS, Carriers, Fiscal Intermediaries (FI), and Medicare Administrative Contractors (MAC) can implement actions that will prevent future improper payments. To accomplish their directive, RACs will review claims on a post-payment basis and apply the same Medicare policies as the Carries, FIs and MACs. This means that for each region a RAC operates, the RAC will apply the controlling National Coverage Determinations (NCD), Local Coverage Determinations (LCD) and CMS Manuals for that same region. 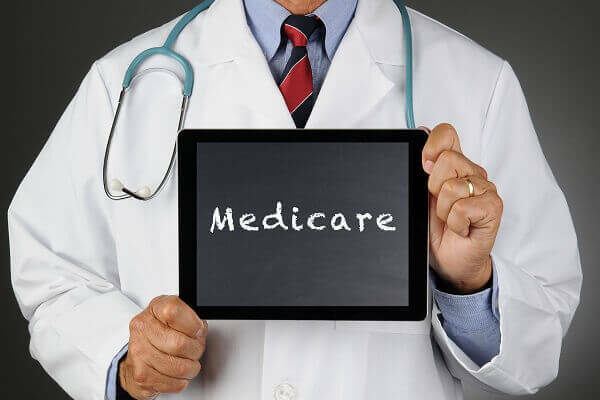 It is important to remember that while there are four RAC Regions, there are twelve MAC Regions for Medicare A and B; as well as, 4 MACs for Durable Medical Equipment (DME), so a single RAC is responsible for reviewing the claims of multiple payers. RACs, in their reviews, can only look back three years from the date the claim was paid but can either perform an automated or complex review. Automated reviews require no medical records, whereas complex reviews require the use of medical records. In order to perform these reviews, RACs are required to employ nurses, therapists, certified coders, and a physician. When a RAC identifies an overpayment, the collection process is similar to that of the Carriers, FIs, and MACs, with the exception of the demand letter being submitted by the RAC. There are a couple of important differences between the RAC collection process and that of the other entities. First, issues reviewed by the RAC must be pre-approved by CMS and posted to the RAC website before widespread review begins. This means that providers can monitor the RAC website, for their region, and know what services are being examined by the RAC. Second, and most important, the RAC will offer an opportunity for the provider to discuss the improper payment determination with the RAC. These two differences offer providers unique opportunities. Providers can track the approved widespread review list posted on the RAC website to know, possibly beforehand, if their services are subject to audit and providers can meet, outside the normal appeal process, with the RAC to obtain a more favorable ruling or; at least, obtain more detail as to why their services were deemed overpaid. Providers that have overpayments assessed against them can either; pay the overpaid amount by check, allow recoupment from future payments, apply for an extended payment plan, or appeal. CMS has issued some guidance to providers to help prepare for and deal with RAC audits. Along with suggesting providers prepare to respond to RAC requests and to appeal when necessary, CMS also offers suggestions for reducing potential overpayment determinations. CMS suggest providers know where previous improper payments have been found, know if the provider, themselves, are submitting claims with improper payments, and for providers to learn from past experience. Providers can learn where previous improper payments have been found by looking at the RAC’s website. Providers can also locate reports related to other improper payments, aside from those identified by RACs, on OIG’s website and CMS’s CERT website. Providers can learn if they are submitting claims with improper payments by conducting internal assessments to identify if they are in compliance with Medicare rules and identify corrective action plans to promote compliance. Finally, CMS suggest providers keep track of denied claims to look for patterns and determine what actions need to be taken to avoid those patterns. CMS’s suggestion to providers for reducing RAC identified errors illustrates a philosophy that emphasizes self-responsibility and holds providers accountable for knowing Medicare’s rules and creating a culture of compliance to those rules. Their suggestions also mirror multiple components of the OIG’s guidance to providers for creating a compliance program. OIG believes that implementing a compliance program significantly advances the prevention of fraud, abuse, and waste in the health care industry while at the same time further the fundamental mission of those same health care providers – provide quality services and care to patients. In developing a compliance program, the OIG suggest designating a compliance officer who can; among other things, conduct effective training and education, conduct internal monitoring and auditing, and respond promptly to detected violations and develop corrective action plans. By following the suggestions of CMS and OIG, providers can take the necessary steps to adhere to all the rules and regulations that govern their provider type while also potentially reducing any overpayments identified by the RAC. The Oberheiden, P.C. consists of former Medicare fraud prosecutors and law enforcement personnel that have specific experience with hundreds if not thousands of ZPIC audits. Our combined experience of decades in charge of Medicare and Medicaid investigations helps our clients to better understand what government lawyers are looking for when reviewing health care data and ZPIC information. Below is our recommended ZPIC audit attorney. With a profound understanding of the law and superb litigation skills, Attorney Lynette Byrd consistently finds success for her clients. While Attorney Byrd is a former Assistant United States Attorney, she now focuses her practice on criminal and civil litigation, Medicare and insurance audits, and general advice and counseling for those with questions pertaining to health care law. Feel free to contact one of our attorneys directly. We are happy to share our ideas with respect to ZPIC audits and how to make sure that the audit does not turn into a bigger-scale Medicare investigation. Your call is free and confidential and you can reach our attorneys also on weekends.